Found in locations ranging from the Carolinas to Alaska and all around the world, coniferous forests are much more desolate places than are temperate or tropical forests. Despite their relatively low productivity, or perhaps because of it, many animals have adapted to life in these ecosystems. Forest fires can strike any wooded area, and coniferous forests are no exception. The regularity of forest fires in coniferous forests has allowed for some organisms to adapt to these events. Bark beetles are normally repelled by a tree's natural defenses. However, when a tree has been damaged by fire, bark beetles will seize this opportunity to attack. If bark beetles begin to proliferate, they will in turn be preyed on by forest woodpeckers. Snowshoe hares prefer to live in dense coniferous forests, and these mammals have developed a unique adaptation: the changing of their fur color from season to season. During the warmer months, snowshoe hares have brown fur that camouflages them within the dead leaves and branches of the forest floor. During the winter months, the hares grow white fur, which helps them to blend into snow that may coat the forest floor. The ermine and ptarmigan are two other coniferous forest animals known to change their colors with the seasons. 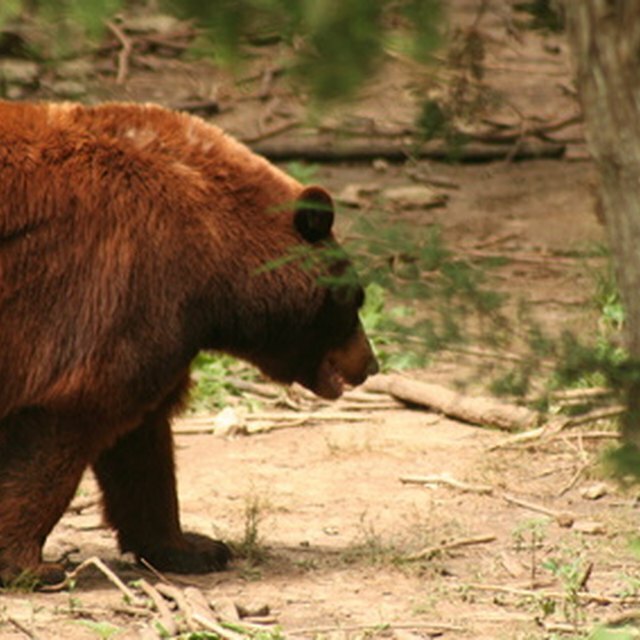 With food options being somewhat scare in the coniferous forest, many animals living there are have adapted to eat whatever is available at any given time, the most notable example being the wolverine. Wolverines are tenacious predators but will also eat plants and berries in the summer months. They have also been known to drag away carrion for consumption, such as a caribou head or carcass. Wolverines sometimes use downed coniferous trees for stashing food and building dens. 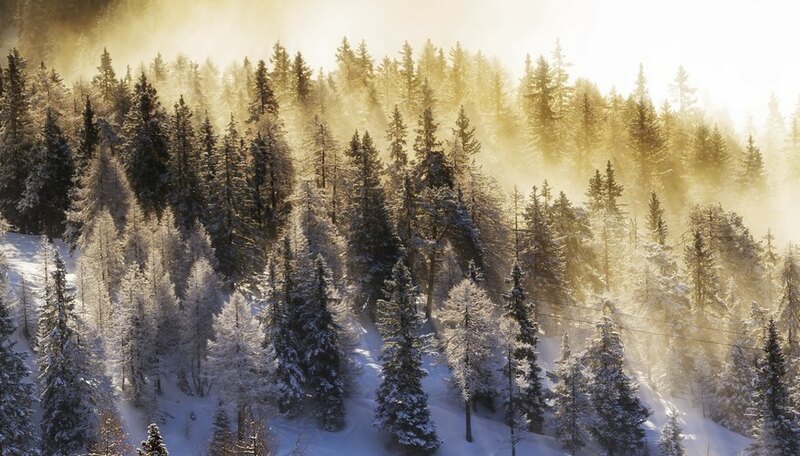 Coniferous forests are also home to many hibernating animals. In addition to the numerous bear species that are known to hibernate in these forests, wood frogs also spend the cold months completely dormant. In fact, these frogs get so cold that nearly 75 percent of their body can turn into ice, and the frog will still emerge during the spring thaw, ready to resume normal activities. Some scientists believe high levels of glucose in the cells of the frog keep them alive throughout this freezing process. How Does a Deer Find Food? Smith, Brett. "Animals & Their Adaptations in the Coniferous Forest." Sciencing, https://sciencing.com/animals-adaptations-coniferous-forest-8446490.html. 13 March 2018.